I awake to the sound of gentle wind through slatted walls. The flowy netting draped over our four poster bed ripples with the light morning breeze, and through it my eyes instantly meet a hazy and distant Caribbean sea. While Matt sleeps, I navigate the narrow & still unfamiliar steps downstairs to make french press coffee accompanied by a few brazen little birds. Flitting around the main level of our room, they perch atop the wooden counter, heads cocked and eyes blinking to ask for a taste of the raw sugar I’m stirring in. Here, we live outside. Life moves at an easier pace. 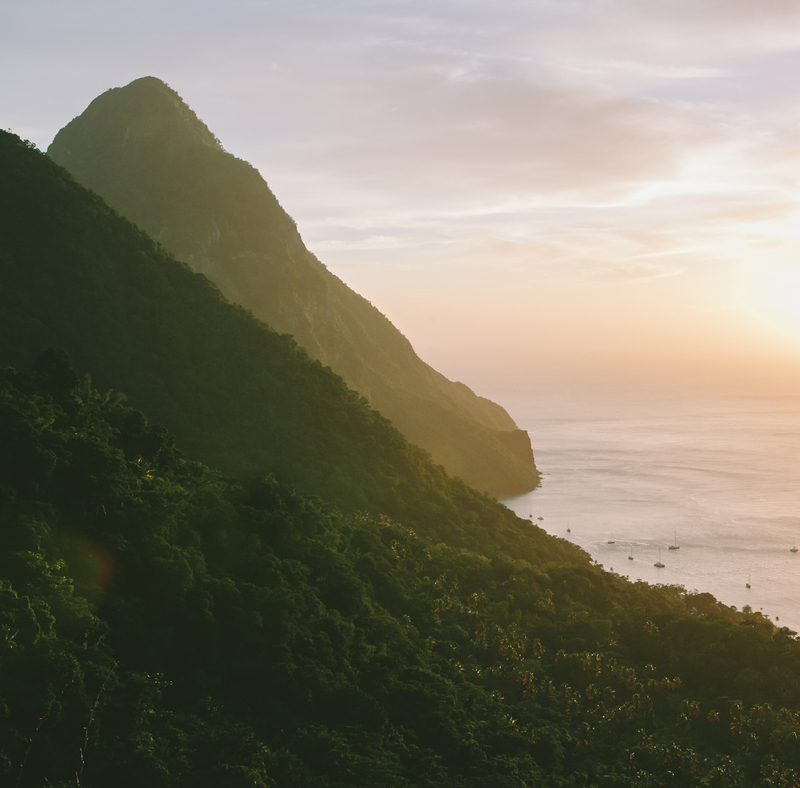 It doesn’t take us long to fall in love with St. Lucia. Our week there is spent lying in the sun cliffside, nestled among endless green between majestic pitons. For breakfast, we savor fruits & juices we’ve never heard of. We watch countless hummingbirds zip unafraid through the grounds of Ladera Resort in dark plumage, with shades of iridescent emerald, shimmering blue, flaming magenta. We head into colorful Castries to explore the markets, where laid-back locals call you “darling” in a thick Creole accent and offer their fare. Sticking a straw in a freshly hacked-open coconut, we share the nourishing water & I fall in love. We venture beyond the main roads where cruise ship shuttles whiz past, and into the little fishing village of Canaries. Locals there are a bit surprised, and share how much it means to them that we’d come to see “the real St. Lucia.” (They’re incredibly easygoing and kindhearted here.) I float atop the warm Caribbean sea in awe, surrounded by vibrant coral reefs that cling to the base of the petit piton. A day is spent snorkeling there hand-in-hand, drinking more coconut water, and relaxing under rustling palms. 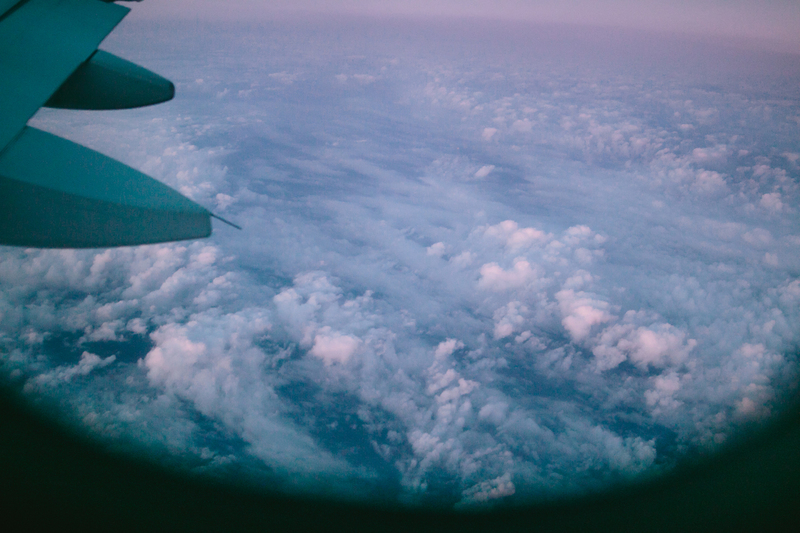 Travel is the only thing you can spend money on that’ll make you richer, they say. And it couldn’t be more true. Below is a little sprinkling of photos from our honeymoon – we stayed at Ladera Resort and couldn’t recommend it (or St. Lucia) more. Matt got to know my camera a bit! It was almost Christmas while we were here–the weather made it easy to forget! Ripe cocoa pods. We learned all about how chocolate is made! We made chocolate bars from scratch, and by hand. Not gonna lie, it was hard work! Heading home with full hearts!